I keep thinking next week, things will slow down. Since my mother has been saying the same thing for as long as I can remember, you’d think that I would have it figured out by now: life never slows down. No? Anyway, there are three projects vying for brain-space at the top of the queue. I hate having multiple projects on the go, but for better or for worse I’ve made baby steps towards all of these. 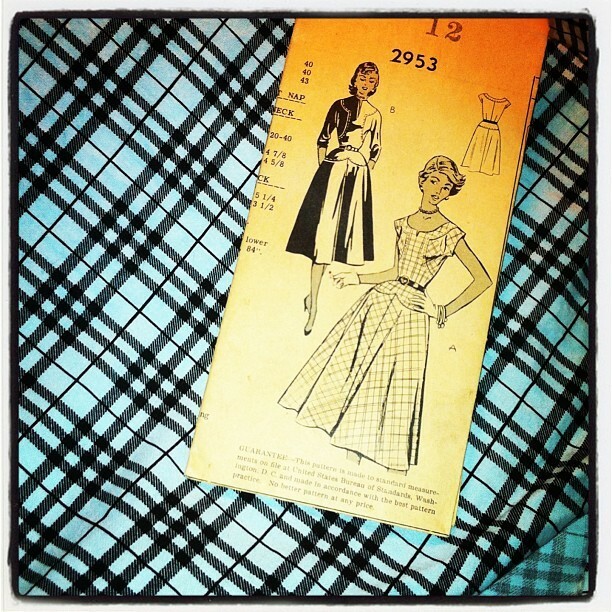 First up is this vintage mail-order pattern (undated but my guess is 50s? ), which I bought from New Vintage Lady last January. Shortly after Christmas I got ambitious and traced it, and did a quick muslin of the bodice. It’s about two sizes too small, but actually the only snug part of the muslin was the waist (big surprise). So I think I will make it up as is, with short sleeves, and adding about 1.5cm on each pattern piece at the waist. I want to use this aqua plaid cotton, which I originally bought for the Christmas Dress, but deemed insufficiently Christmassy. It’s perfect for the fun grain-playing in this dress. The skirt will need to be a good bit shorter, too. Speaking of vintage details, it calls for a snap placket at the side seam. Moving on, the dearth of warm tights in my winter wardrobe led to a wild urge to create some awesome Oonapants for myself. Unfortunately (or fortunately), my sensible side pointed out that I have nothing at all in my wardrobe I’d be inclined to wear with Oonapants, not being quite as wild and smashing as the Kalkatroonan herself. Obviously I needed a cute little black dress to showcase my crazy (future) tights. This had me pawing through my patterns feverishly for several hours before settling on the wiggle dress from Gertie’s book, (only shorter) which I bought back in the fall but haven’t actually used yet. * I have a lightweight black stretch twill that would be perfect, as well. It’s traced out and I had pulled out fabric for a muslin as well, but haven’t made it yet. I’m not allowed to buy any crazy jersey for more leggings until it’s made, though. *If I had anything like the brain-space for making resolutions this year, I think I’d resolve to actually USE some of those pattern books I keep buying. 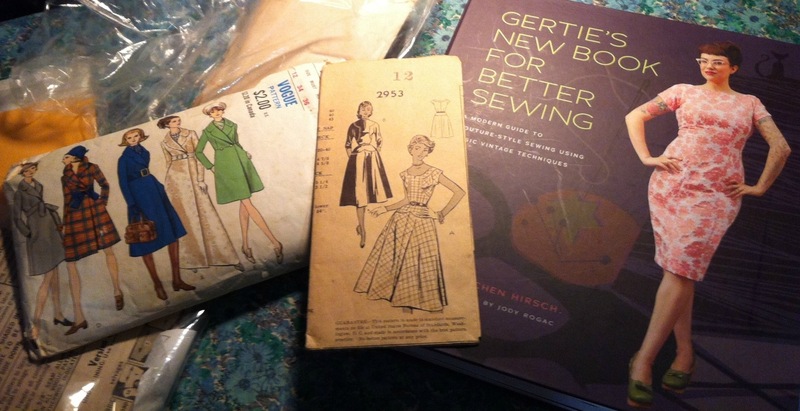 I have the Colette book, Gertie’s book, Drape Drape 2, and got a few more for Christmas! You certainly nailed it with your post. Time is so precious and always seems to be fleeting. I love your taste in the vintage styles. They remind me of my mother. When I worked separates were my wardrobe stable. Now, it’s casual clothing. Thanks for sharing. I agree, never enough hours in the day and what to do first? Your niece’s dress is beautiful… very cute. Book and Colettes book too and have not made one of the patterns yet. But this year- well, hopefully I will! So little time and so much to do! 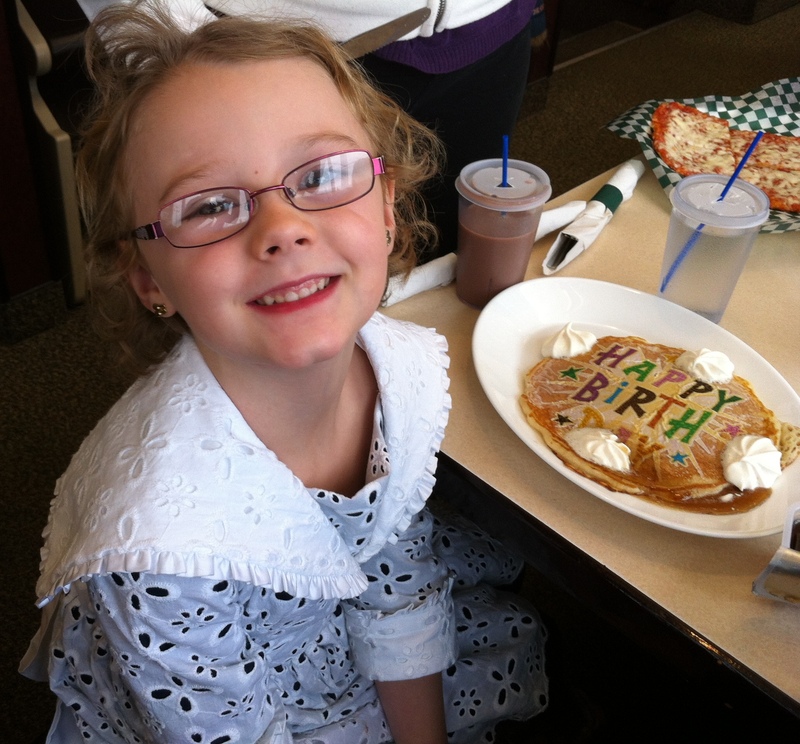 I think your neices dress looks great (what I can see of it!) and good luck with your coat and multiple projects! I hate it when projects vie for space in my brain. I really should stay away from computers in general until I’m done with a couple of projects but y’know, probably won’t. I love the fabrics you’ve picked out. love them. Sometimes I feel so overwhelmed by projects on my brain that I cannot sew anything – eep! I love all the projects you are thinking about, especially that mail order dress – divine! This is totally me, lately. This feeling has been made worse by my having actual, outside of the home work for the first time, in a long time. It is exhausting! And I must say, the blue plaid is beautiful and the pattern is gorgeous! And Fyons dress came out perfectly. My kids go back to school tomorrow after 6 weeks off over summer and I am hoping to get some time to myself again. Finally. Does that mean there may be a few more hours in the day? Nope but it will be a helluva lot quieter during the day. 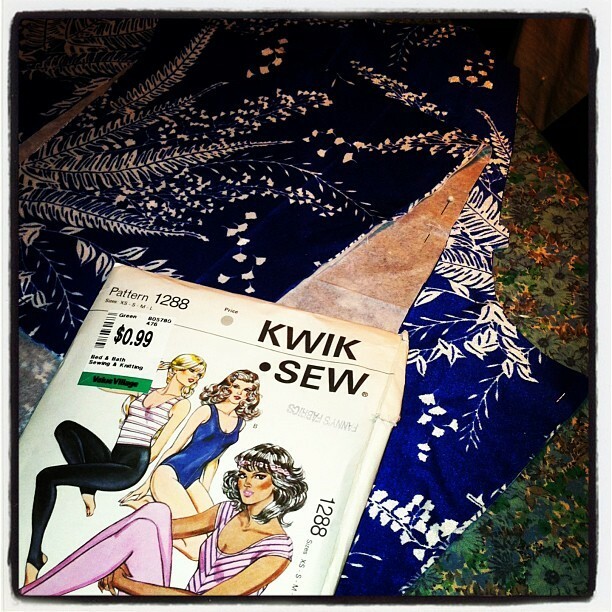 Yay to too much sewing – isn’t that a good thing?